KUALA LUMPUR, Aug 10 — The United States embassy here expressed support for lesbian, gay, bisexual and transgender (LGBT) activists Nisha Ayub and Pang Khee Teik after their photographs were removed from an exhibition at the George Town Festival (GTF). “Pictures are worth a thousand words, but actions speak even louder. “We stand proudly with 2016 International Women of Courage Award winner Nisha Ayub and Pang Khee Teik and the work they do to promote and ,” the US embassy posted on Facebook today. 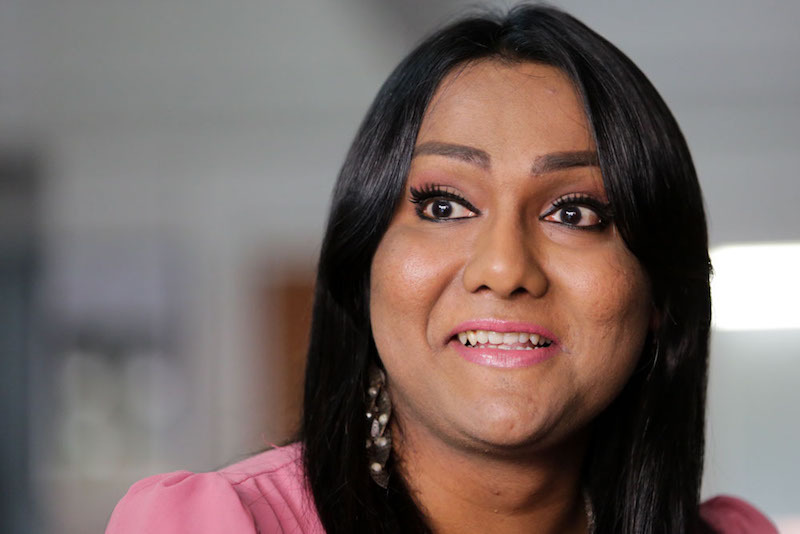 Transgender activist Nisha was the first transwoman to win the US Secretary of State’s International Women of Courage award in 2016. Malay Mail broke the story last Wednesday on the removal of Nisha’s and Pang’s portraits from a public photography exhibition at the GTF, an arts and culture festival, in Penang. Minister in the Prime Minister’s Department Datuk Mujahid Yusof Rawa, who is in charge of Islamic affairs, confirmed later that he had instructed for the photographs of the LGBT activists to be taken down, saying the promotion of LGBT activities was not in line with Pakatan Harapan’s (PH) government policy. Deputy Minister in the Prime Minister’s Department Fuziah Salleh reportedly said yesterday that the LGBT community must respect the rights of the “majority” who did not want their “culture” to be promoted openly.